I Switched to the Diva Menstrual Cup: What Happened? Home » Menstrual Cup FAQs » I Switched to the Diva Menstrual Cup: What Happened? I switched to the Diva Menstrual Cup. What happened? Okay, so you’re considering going cup? But, aren’t sure what’s going to happen? Then you’re certainly in the right place. We’re going to give you the run-down of what you can expect when switching to something like the Diva Cup from tampons or pads. I used tampons for years, but always kind of hated them. I don’t know if I was hanging around the wrong people or something, but I didn’t even know about the Diva Menstrual Cup until I was in my early 30’s. When my friend told me about it, I immediately went out and bought one. I’ve never looked back. Here’s what happened when I made the switch. But, for more details about the most popular menstrual cup in the world, you’re going to want to check out our Diva Cup Review. Okay, so I initially felt like the Diva Cup was a bit expensive at around $30 USD. It’s just a little piece of silicone after all. Then, I realized that I was NOT dropping the five bucks on tampons every single month, and I felt really good about having spent that money. Seriously, you can have years of savings. Although the company recommends replacing your cup every single year, that’s a little bit ridiculous and most people don’t do that. Tampons. I felt like I was always throwing them into the trash, along with the little bits of plastic wrappings. It’s probably because I was. Once I switched to the Diva Menstrual Cup, I stopped sending all this stuff to the landfill. And I rested just a little bit easier knowing I was reducing my ecological footprint. You can learn more here: Is the Diva Cup Better than Tampons? Although it’s not really clear, it does seem like menstrual cups may come with a lower risk of Toxic Shock Syndrome than tampons. This is certainly good news for now, but more research is needed about this important topic. Tampons sometimes contain trace amounts of toxic chemicals in them. Menstrual cups? Not so much. By opting for the Diva Cup, you’re choosing to have a safer period experience. Okay, so when you first try out a menstrual cup it’s probably going to leak like crazy. It did for me. It was frustrating, annoying and made me feel like giving up. Why even bother, I thought to myself. I have to wear a pad anyway. Over a few cycles, it got easier to insert and remove. It also leaked less. And now it’s mostly solid, with only the occasional leaking. Love it, mostly. 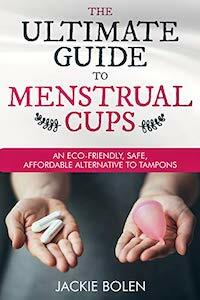 Here are a few tips to help you out with this: Menstrual Cup Leaking FAQs. The thing to keep in mind is that there’s a serious learning curve to getting started with the Diva Cup. Like it actually takes most people at least a few cycles to feel 100% confident with it. And even years later, most people still wear a pantyliner (we love cloth ones) in order to catch any leaks. Totally normal, and not really something to worry too much about. Menstrual Cups: Are they Disgusting, or will they Change your Life? Have you Made the Switch to the Diva Cup? What Happened? Please leave a comment below and let us know your thoughts. Have you made the switch to a menstrual cup yet? Also be sure to give this article a share on Facebook, Pinterest, or Twitter. It’ll help other people, like yourself find this useful resource. « Is the Diva Cup Better than Tampons? Find out Here!